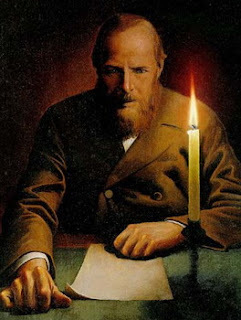 Fyodor Dostoevsky(1821 – 1881) was a prolific Russian writer of novels, short stories and essays. His literary works delve into the depths of human psychology. Although his trilogy of lengthy novels: Crime and Punishment, The Idiot and The Brothers Karamazov may be considered by many critics his maximum literary achievement, his novelette Notes from Underground is more widely read than the lengthy novels. But its merit ultimately lies in the tremendous influence that it has exerted on many writers: Nietzsche, Freud, Kafka, Bellow, Philip Roth, and even Woody Allen. The underground man in today’s language may be described a “bi-polar” character. He taunts his readers, apologizes, and rages against himself, getting wild, only to collapse again and again. Should he be taken seriously, given his avowals and disavowals, paradoxes, and contradictions? If we could deconstruct fairly the Underground man’s aversion for the Crystal Palace (built in 1851 in London), we can get close to seeing how his mind works. To him, the Crystal Palace is a metaphor for science, rationality, positivism, mathematics, and industrial capitalism. All of which in the end makes man no less than a predictable zombie—so wrong a conclusion. To the Underground man, man is unfathomable: God’s mystery. The novelette contains two quite different parts. In the first part the underground man introduces himself, complaining and railing against progress and anything that is scientific. The second part is a flashback to when he was twenty-four years old, recounting some bizarre incidents from his social life: deep resentment against an officer, and against fellow schoolmates which culminate in a disastrous dinner party, and his meeting of Liza—the proverbial lonely prostitute with the golden heart. In the end one is left pondering whether there’s love and redemption in the human heart—or only perversion. X — Such an insult is after all purification. Comments on "Fyodor Dostoevsky: Notes from Underground"